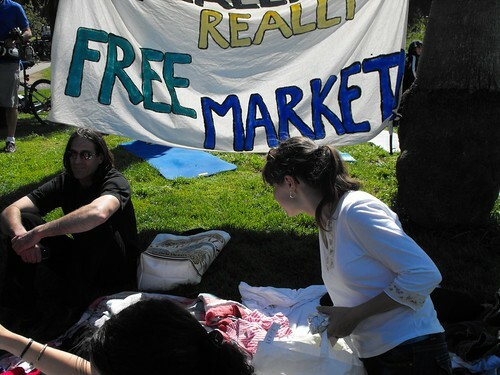 The Really Really FREE Market. Last Saturday of The Month in Dolores Park. I wanted to check out The Really Really Free Market more for the experience than for actually grabbing things. I really don’t need anymore material possessions. I have waaaay too many things as it is and really need to have a garage sale and scale back before I start to feel like a hoarder. 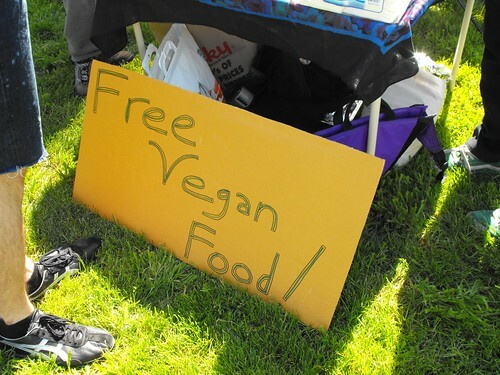 But I was surprised to see that they were also giving away free food. 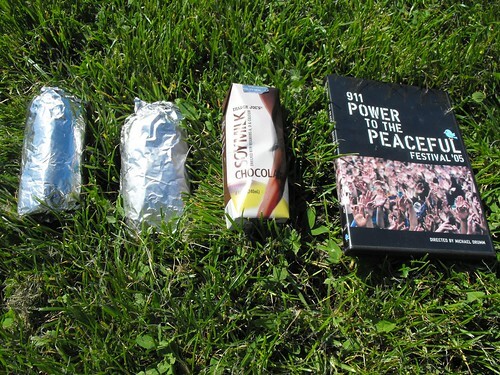 I managed to score a beans and rice burrito, a veggie tofu burrito, some chocolate soy milk, and a Power to the Peaceful DVD.